I have been constructing a wooden rail tramway on which battery powered locomotives run controlled by Radio Control. 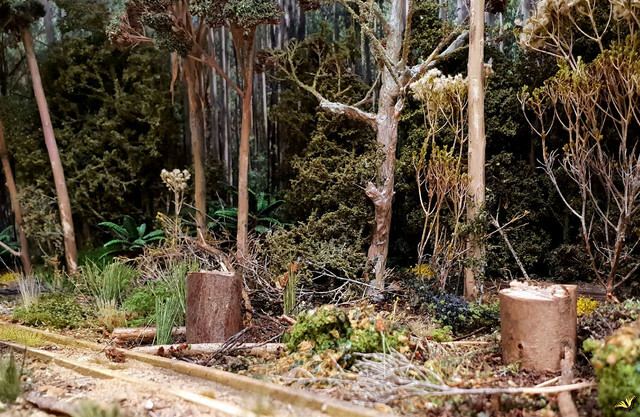 It will feature it's first public display at the Australian Narrow Gauge Convention 2019. 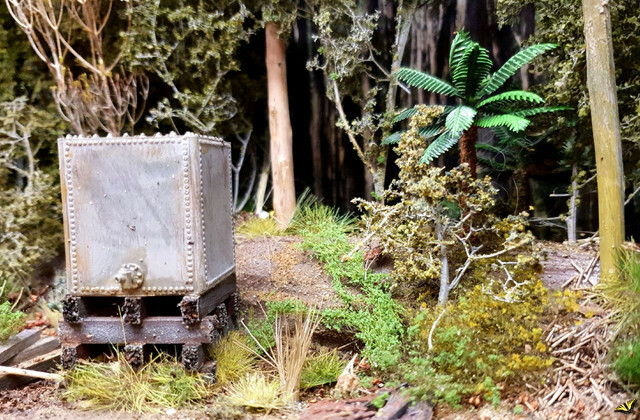 Below is a series of cameo scenes showing finished scenery. Really nice lookin' greenery in your woods ! And not a single Volt to be found on those 'genuine' wooden 'rails' either. Your railtractor you Posted recently looked great ! I was trying to work out where you hid all the batteries & electrickery ? What part of Aus. does 'The Points' represent ? Si. wrote: Really nice lookin' greenery in your woods ! In the rail tractor the battery is in the roof. The construction of the timbers in the roof frame are spaced so the battery fits. Neither timber or steel rail is powered. All my On30 locos are BPRC. Receiver is about the size of your thumbnail, motor / gearbox is off the shelf with bespoke cross drive fitted. The Points was a real world location, East of Melbourne, Australia. The arrows, below, show where the timber meets steel rail. AHA! INSULATING GAPS!. EXPLAIN THAT! Do you have a photo of your railtractor? Can't remember seeing it. My scratch built Tractor Appliance Company Ltd (TACL) rail tractor. BPRC, using Deltang RC receiver. Very nice and great video. .........LUV the TACL and disconnects. Nice work on the railtractor. I also like the detail of tightening the chains on the cars. 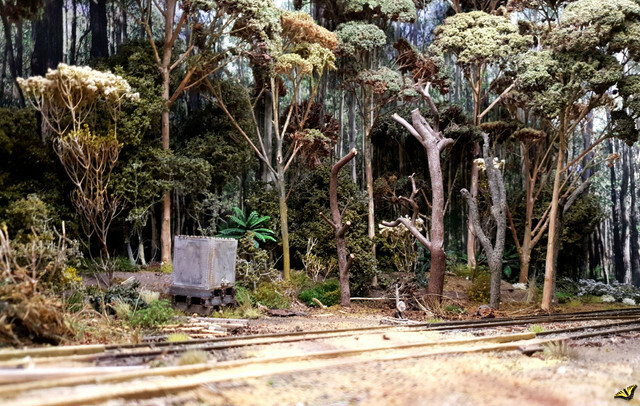 I have sometimes wondered how to model one of the log rail operations that existed around here in the early days. Battery power would certainly be a good solution. And the thing I need most is another modeling project.